Holidays can be difficult for people who are trying to eat healthier. You want all of the classic yummy dishes, but may also have some health issues that prevent you from having some of your favorites. Or maybe you are really disciplined and focusing on your waistline. 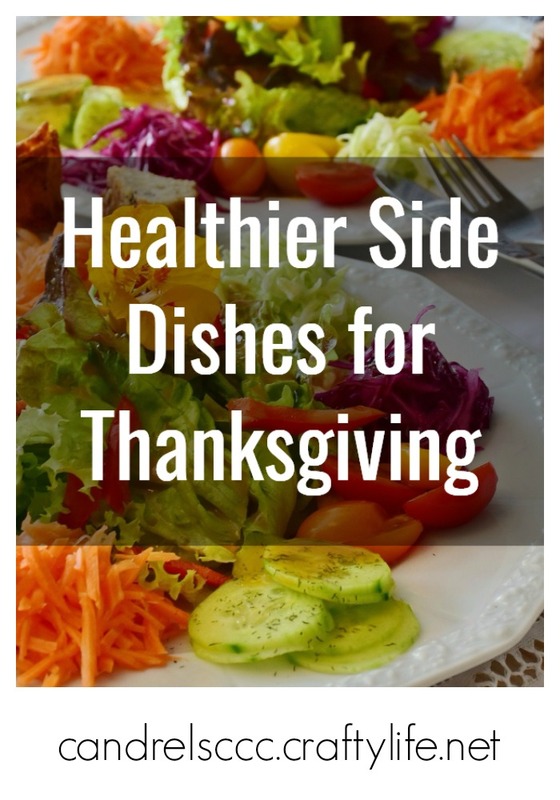 Luckily there are plenty of healthy side dishes for Thanksgiving that still taste amazingly good. I have three quick and easy healthy Thanksgiving side dishes here that you can easily whip out and enjoy for your holiday meal. We all loved our baked and fried potatoes, but what if you are trying to reduce some of those carbs? Baked carrot fries are a healthy Thanksgiving side dish that are super easy to make. Parmesan and basil give them great flavor and they are ready in no time. There’s no set amount in this recipe, so make as many as you think you’re going to need. Rub the thin carrot fries with olive oil and place on a cookie sheet. Cook for 15 to 20 minutes, or until the outer shell of the carrots is slightly crispy. Remove from the over and sprinkle with sea salt, basil, and Parmesan cheese. Green beans are definitely a traditional part of the Thanksgiving meal. Maybe instead of the casserole, you could do some roasted green beans for something a little bit different. It’s very similar to the baked carrot fries recipe and another one of the easy healthy side dishes for Thanksgiving to share with your meal. The amount you make is completely flexible, based on what you think you will need. Set the oven once again to 450 degrees while you rub the green beans in olive oil. Arrange them on a cookie sheet and bake for 15 minutes. Remove from the oven, sprinkle with salt and pepper as desired, and then top with Parmesan. If you still want to have potatoes with your meal, a low fat potato soup option may be just what you need for one of your healthy side dishes for Thanksgiving. And soup is always a great option. To make it healthier, replace butter with olive oil and sour cream with yogurt. Again, you have flexibility in how much you make with the recipe. I’d go for one potato per serving. Cut potatoes, skin on or off (Leave the skin on some of the potatoes for extra fiber in your soup. Boil your potatoes until they are the right texture and softness for mashing. Mash the potatoes in a bowl if you like a chunkier soup. For a more pureed consistency, use a mixer or food processor. Add olive oil and yogurt until your soup is at a desired consistency. What do you like to serve for a healthy Thanksgiving side dish? Let us know in the comments below. In the meantime, try some of these other recipes. We really love your blog, it has unique information, Have a great day! I love your website, it has nice information, Have a great day! Hi, This is a great website, thank you for sharing it with us. Have a nice day. Helloo, I like your Blog Post. I recently wrote an article on storing gammon. I like to make my own food for Christmas!. We will be making a basic ice cream to go with it. The kids will be on holiday and I am sure they are going to love it.